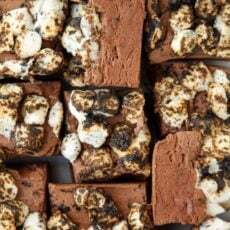 Considering this month’s hashtag is #psfoodcrush, it seemed only fair to post a new recipe that I’m pretty sure you’re going to have a crush on. 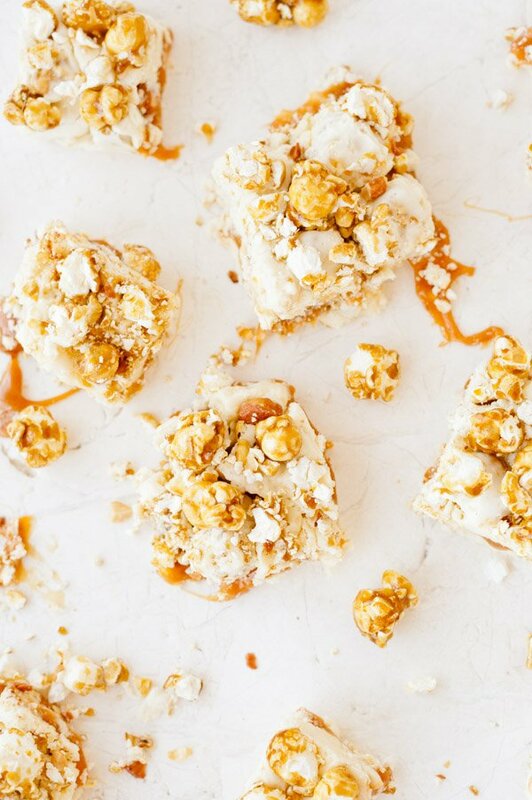 Especially if you’re a Cracker Jacks fan… Caramel Ribbon Cracker Jack Fudge! Gah! This one is INSANE (in a good way). Like for real. 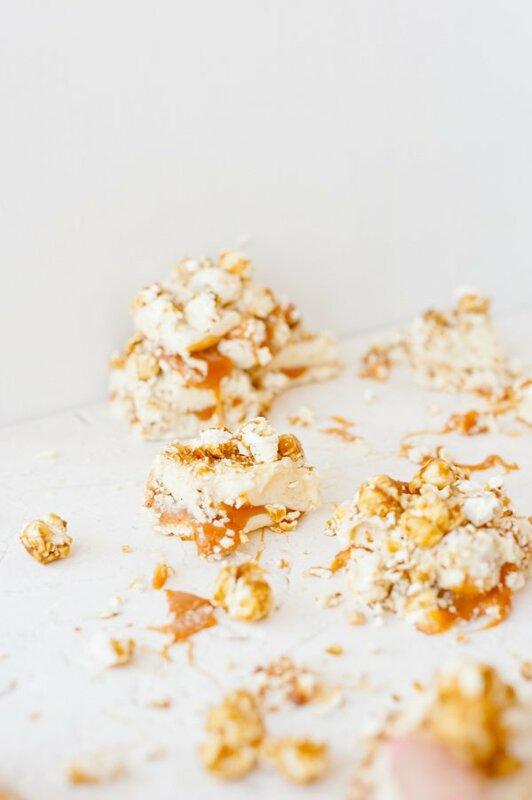 It’s filled with gooey caramel and salty sweet Cracker Jacks. Definitely a hit for parties, potlucks, birthdays, etc. 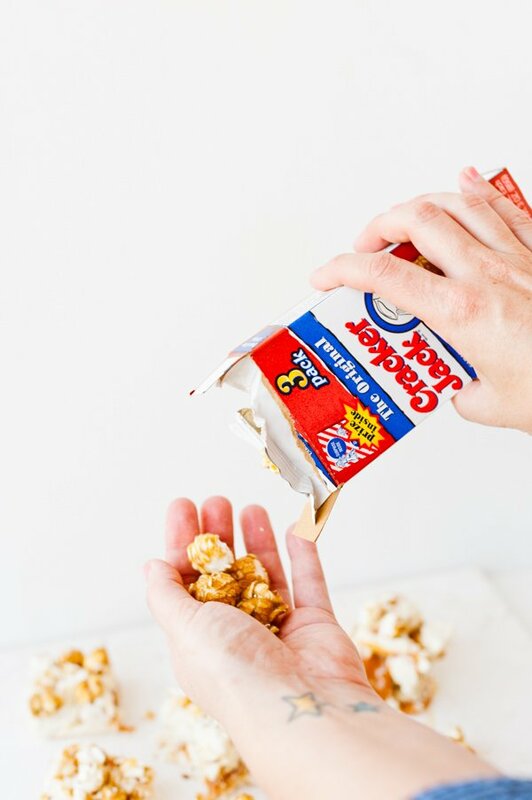 Pour all of the Cracker Jacks into a bag and crush the popcorn into small and medium sized pieces using a rolling pin. Another method would be to use a food processor. Next, pour the Cracker Jack pieces into a bowl and set aside. 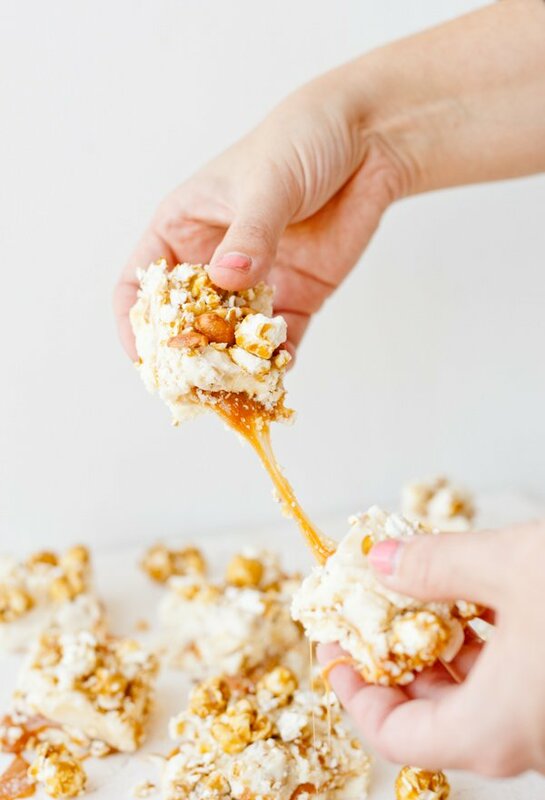 In a small sauce pan, mix the caramels and water together and stir until the caramels have melted and set aside. Mix the evaporated milk, butter, and sugar in a medium sauce pan. Bring the mixture to a boil over medium heat, stirring constantly to not allow the mixture to burn. 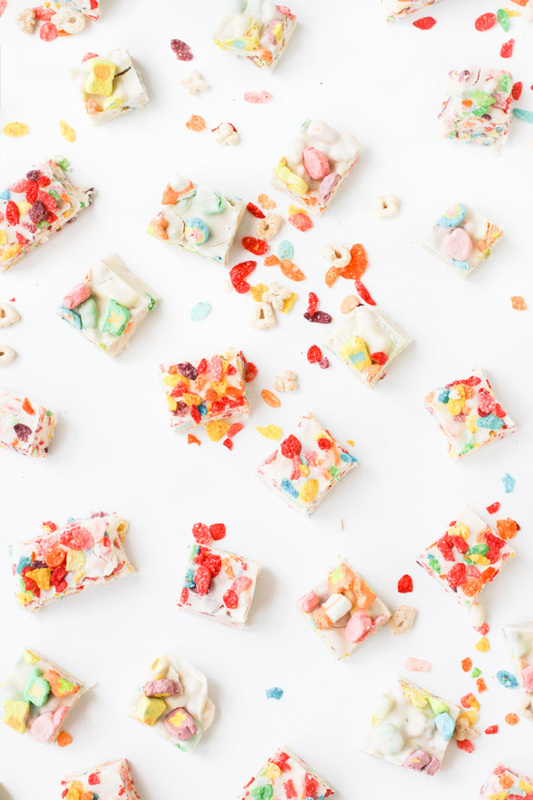 Take the mixture off the heat and stir in the marshmallow cream, half of the Cracker Jack pieces, and the white chocolate chips until everything is incorporated. Then pour half of the fudge mixture into the pan and spread using a spatula. Next, pour a layer of the melted caramel followed by the rest of the fudge mixture. 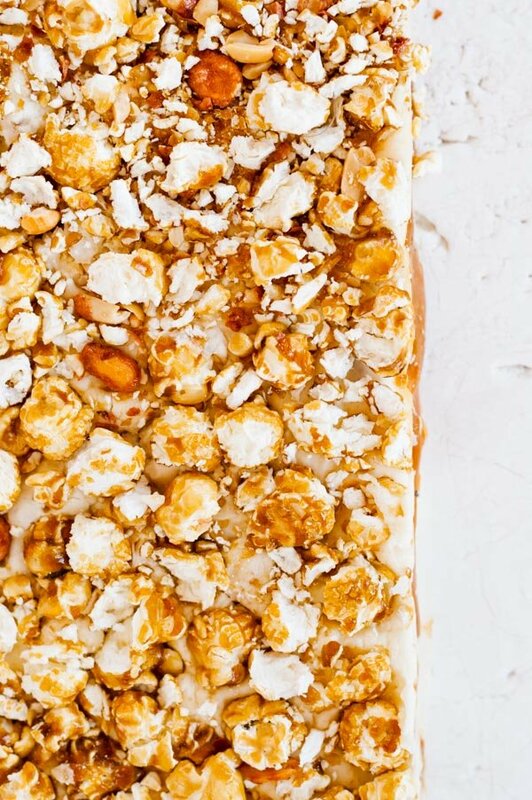 Finally, sprinkle the rest of the Cracker Jack pieces on top, pressing into the fudge to make sure they stick. What do you think? 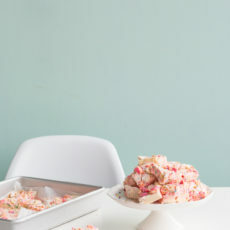 Would you give this fudge recipe a try? 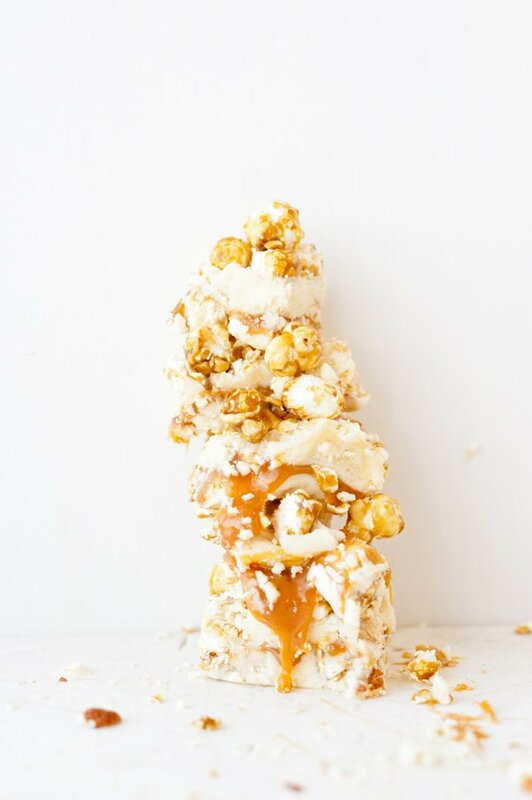 This looks amazingly yummy, I could really use a batch right now! Thanks for sharing! Would love to try it, Can we have a “printable” copy? Hi Rosemary. I don’t currently provide printable versions of the recipes here, but I’m so glad you mentioned it. Would that be helpful? I’ll definitely look into this for future recipes. This looks incredible! I love the sweet and salty flavor combo. 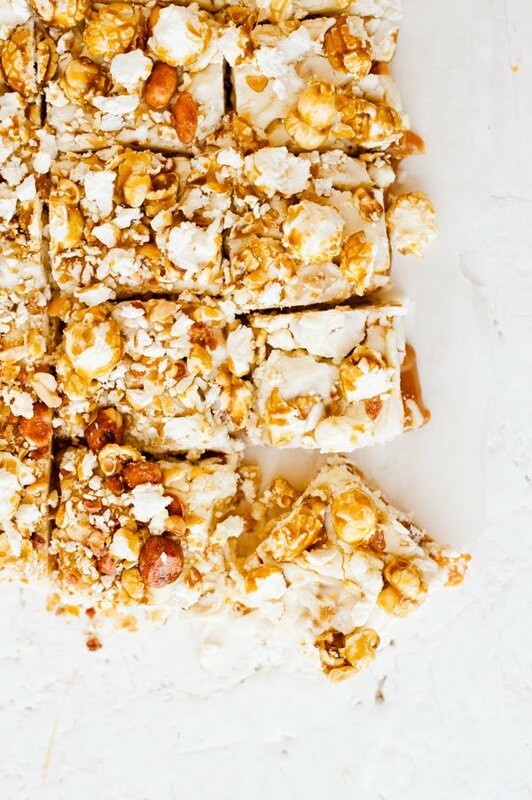 I’ve made Pretzel magic bars and those have been my sweet&salty go to for some time now. I’d love to try these next! Yum. Pretzel bars sounds delicious, Shehla. After eating this delectable treat, go to Confession!